I was about ready to haul it off to the dump when I got an idea. 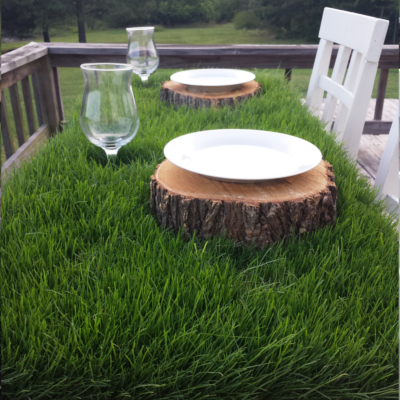 I was going to grow grass on it! I told my husband my plan and he thought I was crazy but I knew it was going to be awesome. 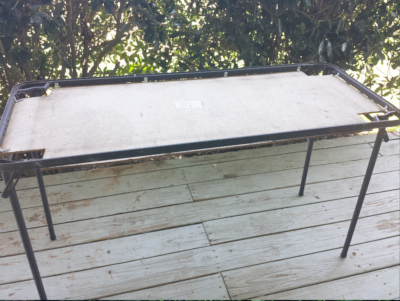 I took the top off and reattached it to the underside of the table. This gave it a lip around the edge to hold the grass seed and dirt. In order to make it fit, I had to cut out the corners where the legs were. 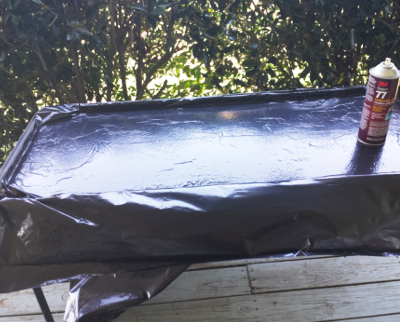 I then covered it with plastic to keep it protected from water damage. I just used a plastic trash bag and some spay on glue. 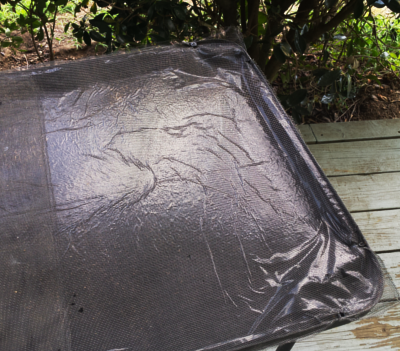 I had some leftover window screen that I placed on top of the plastic to keep the dirt and seeds from sliding around too much. I also drilled a few holes for drainage (not shown) then trimmed the plastic and screen. 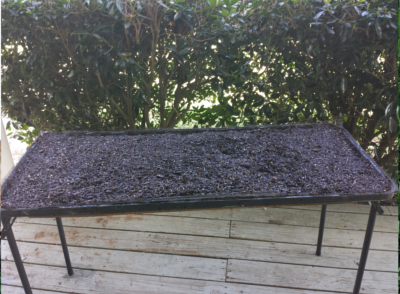 I placed a thick layer of potting soil down then covered the entire thing with grass seed. Now I just had to wait for the seeds to grow. This posed to be more of a challenge than I expected. The following days were extremely hot and dry so I had to water several times a day to keep the seed moist. I also had a problem with birds pecking around in the seeds and the wind kept blowing seeds away. I ended up covering the table with an old white sheet. I used clips to attach it to the table to keep it from blowing away in the wind. 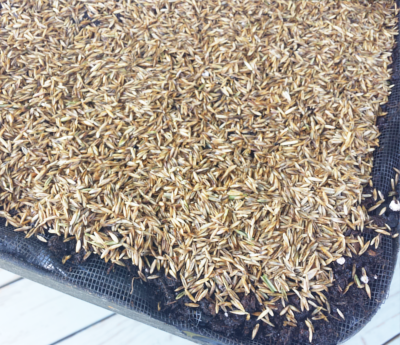 After five days most of the seeds had sprouted so I removed the sheet. Within a week I had a nice thick layer of grass. I absolutely love my table. I could spend all day running my hands over the grass. 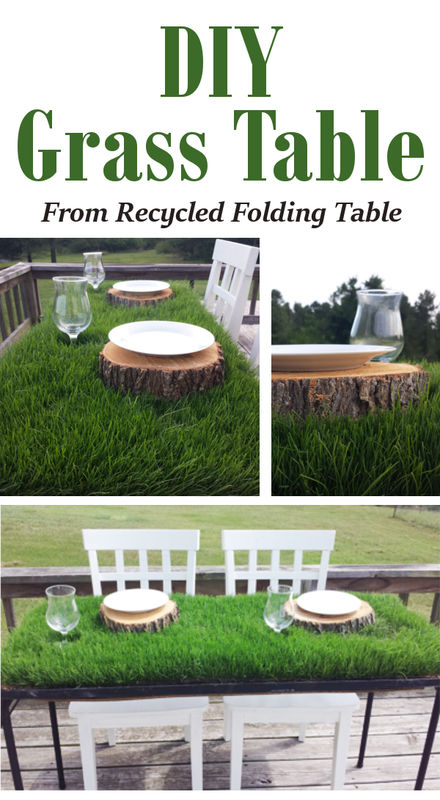 The kids love to eat lunch at the table and pretend they are having a picnic. 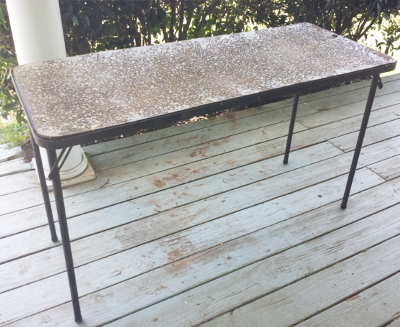 All the materials I used for this project were items that I already had on hand so the total cost of this table was $0. I realize that not everyone has an old table just laying around but you can find a similar one here for $25 (I believe they also sell them at walmart). 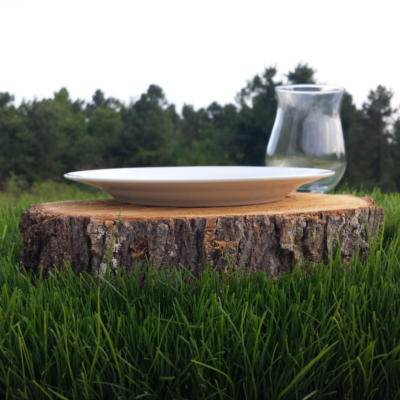 A new table will come with a vinyl top which would eliminate the need for the plastic and you can buy a bag of grass seed for around $15. Some local feed stores even sell it by the pound for a lot cheaper. All-in-all this would be a fairly inexpensive to put together. 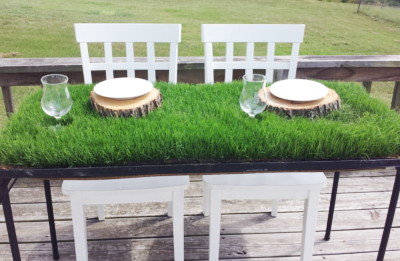 If you make your own grass table I would love for you to share a link in the comments.